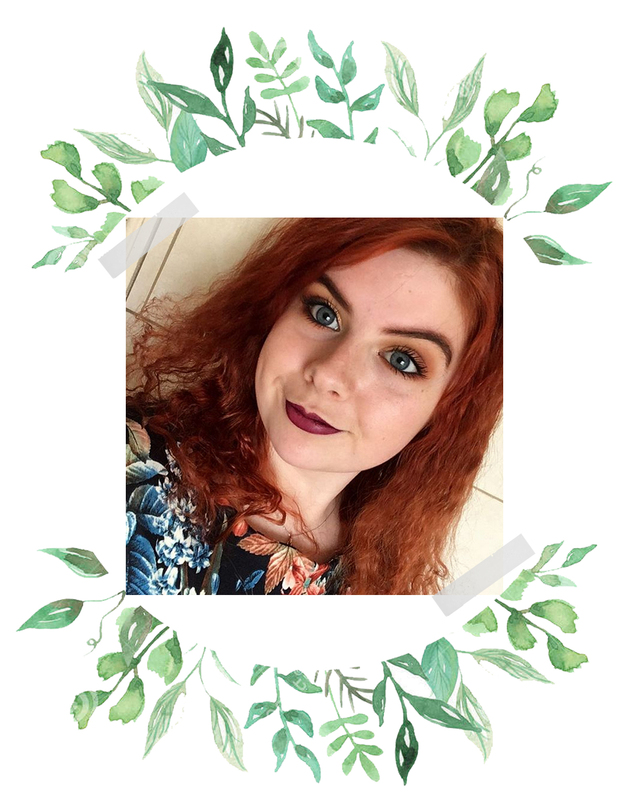 This post is all about the products I have loved this month. 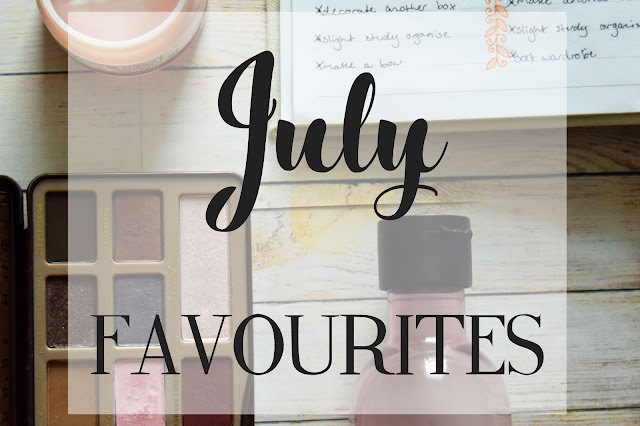 Let me know in the comments what you've been using all month so I can find something to love in August! 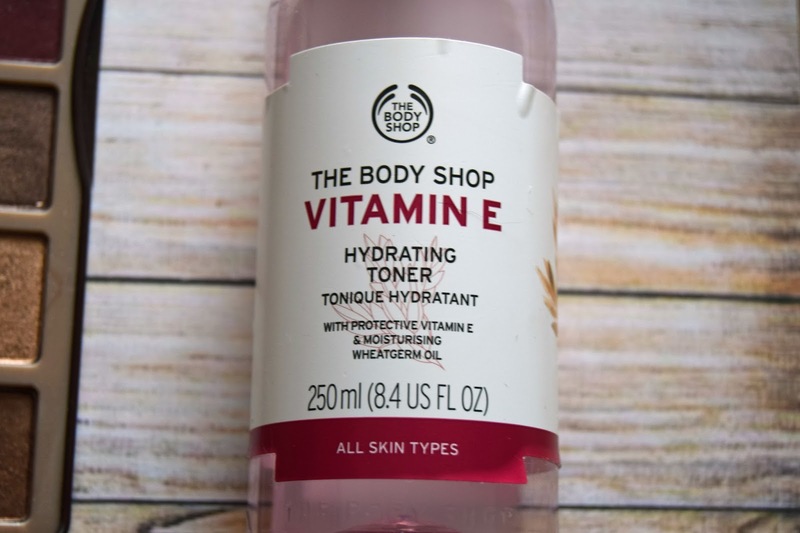 I use this toner every morning before I put my makeup on for a nice clean base, and I also use it in an evening after removing my makeup to get rid of any leftover makeup and traces of cleanser. 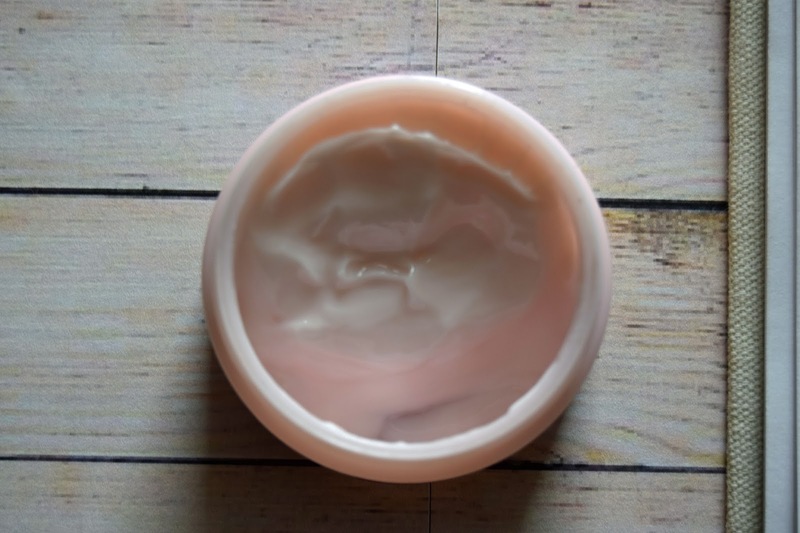 I find it extremely hydrating, which is perfect for my very dry skin, and it's effective at removing impurities from my skin so I know it's clean and healthy. A little bit goes a really long way, so it's great if you want products that will last you for a while. I've been reluctant to buy this as I have a Real Techniques Miracle Complexion Sponge that I find works extremely well, but after using this I have to say the two are extremely different. I find the Real Techniques sponge to be a lot more dense, and it takes a longer time to blend than my Beauty Blender. The Beauty Blender is much softer, and it blends makeup a lot quicker. My face makeup looks so much smoother using the Beauty Blender and I think it absorbs less of my product than the Real Techniques sponge. This moisturiser is absorbed quickly into the skin, so I don't feel greasy throughout the day. However, I can feel its benefits literally all day long. 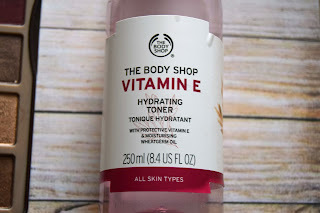 Since I started using this, my skin has looked and felt less dry, and flaky patches of skin (yes, my skin is so dry it's flaky - don't judge me!) are much less common on me now than they were before. My foundation looks so much better when applied over this, as it doesn't get absorbed into my dry patches. If any of you are really struggling with dry skin, I'd really recommend this. I've read that many Body Shop mascaras are flaky and just not great, but their newest formula is phenomenal. You apply the mascara, which is lengthening on its own, then you apply the fibres, and then you reapply the mascara over the top. It makes my lashes look HUGE - they look so full, long, and lifted. I do get slightly frustrated with this palette, as I find that a few of the shades aren't true to what they are in the pan. I also find that the shadows rub off and crease throughout the day, which irritates me because I don't want my makeup to come off until I remove it. However, I really enjoy using it, and have found solutions to my problems. I spray the shadow on my brush with setting spray, and it makes the colour more vivid, and I use the Urban Decay Primer Potion to securely fix my eyeshadow to my lids. 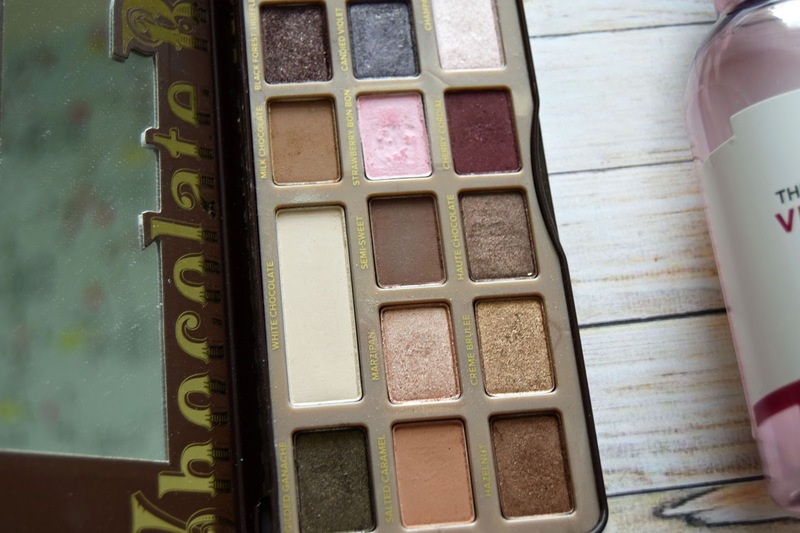 This palette is perfect to create an entire look, and I love playing around and seeing what I can come up with. The shimmer shades are just beautiful. 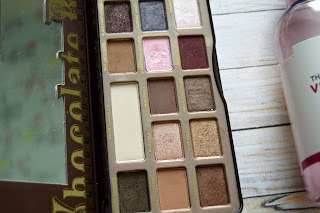 I find this warm toned palette to be incredibly pigmented and easy to work with - the shades blend nicely and appear how I want them to on the lid. This month I've been working on a five looks using one palette post, and I've found this palette to be very versatile. You can create a range of looks; bold coloured, deep and smokey, or light and natural, so it's perfect for a beginner. Morphe palettes are also very inexpensive considering the high quality and the number of shades you get with them. 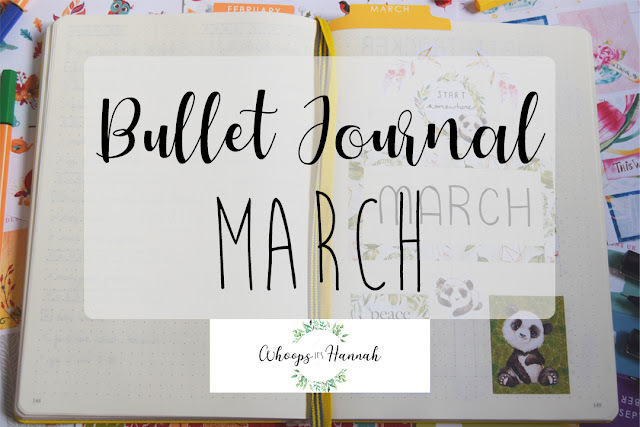 To get more organised and be more productive, I started a bullet journal this month. I've found it very useful, as I can plan out the tasks I want to complete in a month, in a week, and in a day. I've used it to track how much water I drink, monitor how I'm doing with reading books and watching musicals (I do Musical Theatre in college so I like to watch as many musicals as I can). It's also very therapeutic to work out the design of my journal. 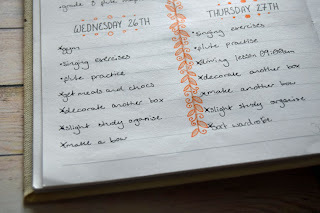 I look forward to keeping it up in August, and I'd recommend you give bullet journalling a go! When searching for something new to watch on Netflix, I turned to The Crown, a drama about Queen Elizabeth II. While I'm not too sure how accurate it is, it's still interesting to see the events and relationships throughout her early reign unfold. Being English, I've grown up knowing about the royal family, but recently I've become very interested in the monarchy as a whole, so learning about her reign and responsibilities has been right up my alley. I'm sure many of you have already seen this, but if you haven't, it's definitely worth watching. So those are my favourites from this month. Let me know below what products and things you've really enjoyed throughout July. If you would like to follow my blog so you don't miss a post, follow me on Bloglovin'.